Audials 10 - Moviebox and Tunebite ~ Android Forever! Developer Quote: "Find, record, download, convert and enjoy music, films, videos and Internet radios everywhere." Every great product solves a real problem. So here's the problem: You have media, both audio and video, coming at you in a mind-blowing multitude of formats and through a confusing abundance of means, and none of them play nice with each other. You watch streaming movies through your browser on your PC that you can't save or back up. You listen to music that you've bought and downloaded through a proprietary piece of software that you can't play on any other device. You have movies and music scattered among various devices and on different types of media, so that you have no idea where anything is. 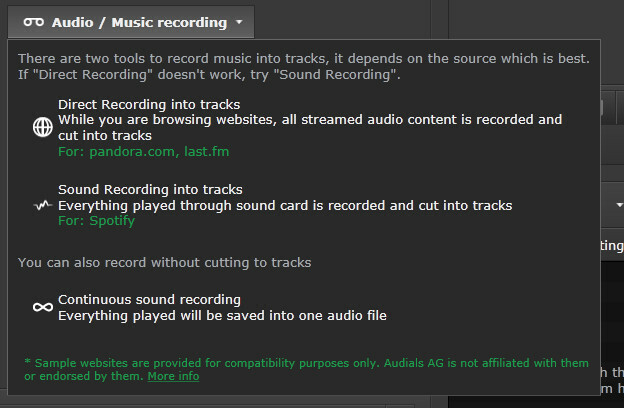 Audials solves all of it. Two amazing Audials products that have recently been massively updated to generation 10, Tunebites and Moviebox, are featured in this post. Between them they can solve all your digital music and movie problems. First, Tunebite. This amazing application records music or any kind of audio, without any loss in quality, and saves it as new files in any digital audio format, whether you are streaming it or downloading it from any subscription service. The second application is called Moviebox. 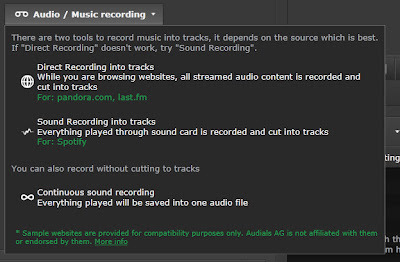 As seen below, you can choose to record and save only the videos you pick; all streamed videos, or record and save from your screen, which will work even when the previous methods don't for whatever reason. 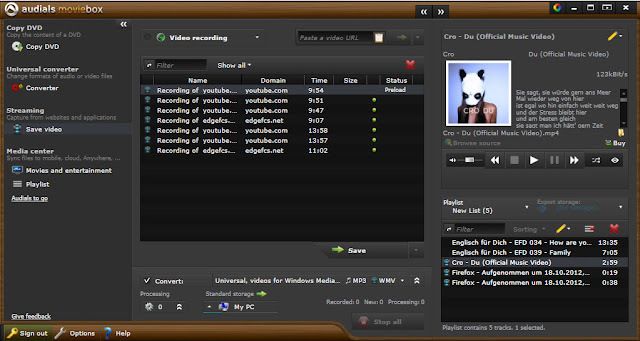 With all your media accessible from Audials, you can organize, backup and playback your media at any time. As an added bonus, you can save your media to cloud storage services for playback on the go, and you can install the Audials - Radio + Music Sync app on your Android or Windows 8 smartphone. So you owe it to yourself to solve your media problems by checking out these awesome applications, Audials Tunebite and Audials Moviebox!